Project cargo is one of the main services provided by ADSO, with it's primary focus on handling and forwarding heavy projects from one destination to another. We provide our clients with the best end-to-end logistics solutions particularly to supply chains all around the world. We are determined to providing international freight forwarding to supply chains globally and we are considered at the top of this business due to our comprehensive knowledge of cargo forwarding. ADSO is proud to be an air cargo company in Dubai that is able to provide it's clients with excellent value added services like custom clearance, smooth delivery and our commitment to punctuality. Heavy equipment, construction projects, mining and oiling equipment and other industrial paraphernalia that needs to be transferred with care and safety comes under project cargo forwarding. Our experts design and engineer the perfect solution for each project as per it's requirement which can vary from one industry to another. We have a multi modal business structure which means that there is a variety of transport options to choose from whether it is land freight, sea freight or air freight. If your cargo does not fit into the standard freight requirements, and it is heavier or larger than usual, ADSO will ensure that the break bulk cargo reaches it's destination safely, on time and also give you the best possible rates. We provide our clients wit fool proof security, accurate online tracking systems, legal support as well as 24/7 customers services. When a client's cargo can not fit into the standard containers, our cargo experts are able to break it down and compartmentalized into different containers to make it into one piece of cargo. Break bulk cargo is most commonly used by petroleum, petrochemical, oiling, mining, energy and marine industries. It is especially useful for those companies that need their equipment or cargo to be transferred to a small dock or port which does not have space for large containers to be loaded off. The number one reason our clients have remained loyal to us over the years has been our commitment and our focused goal on providing problem free multi mode freight forwarding solutions. When we assume the responsibility of a project, we follow it to the end and take on complete commitment to ensure that the cargo reaches with full security. It is considered that break bulk shipments are expensive but in the long run it is one of the most efficient ways to transport heavy cargo. The reason is that there is no way that heavy machinery or heavy substances lie petroleum can be transported in containers. Breaking them up in to bulk is done by professionals who have been doing this for years. 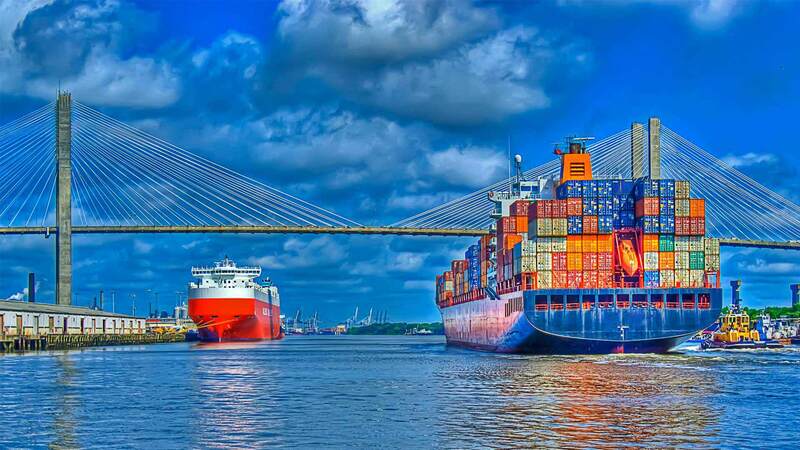 ADSO is proud of it's decades of professional work in the field of cargo and freight forwarding that has spread from the Gulf Region and all over Africa and Europe. Besides supply chain management we also provide additional services like warehouse inventory management, documentation work, complete legal paper work, planning and sourcing, inventory control and much more. All of these are important for those supply chains and international companies that need a third party to manage their cargo being transported over long distances without having to worry about anything. Contact our team to get a quote for the most efficient cargo forwarding.